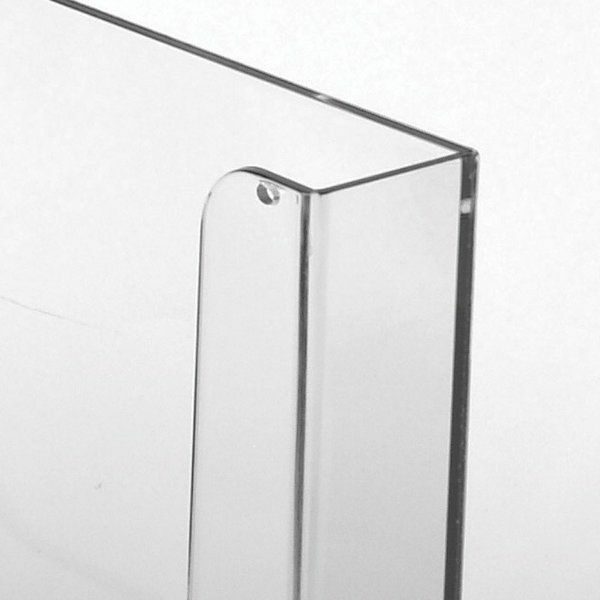 Highly resistant wall mounted literature holders. They can be mounted in any convenient location. 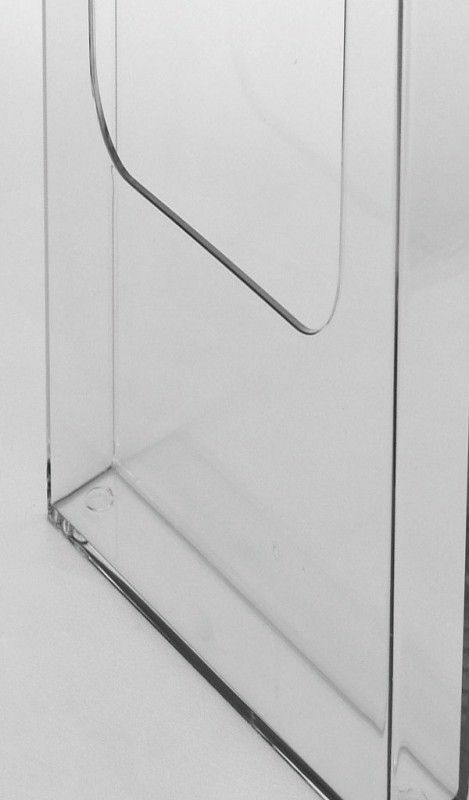 The wall mounted pamphlet holder is ideal for the display of menus, price lists, etc.. 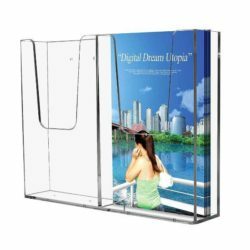 This high quality wall mounted literature holder can be screen printed. All wall mount brochure holders are in stock and ready for immediate shipment. WALL MOUNTED LITERATURE HOLDER If the space is a bit tight, versatile solutions such as wall mounted literature holders ensure your optimum and effective advertising. Besides it is important that each and every type of literature is presented in a tidy and organized manner to make a good impression on the prospective customer and increase your brand value. 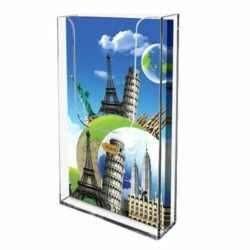 This cost effective 2 pockets wall mounted pamphlet holder can display quite high quantity brochures at a time comfortably and conveniently. To be precise, wall mounted literature holders each pocket can hold a thick stack of 4″w x 6″h brochures. Still this wall mount brochure holder can also free-stand on a countertop. 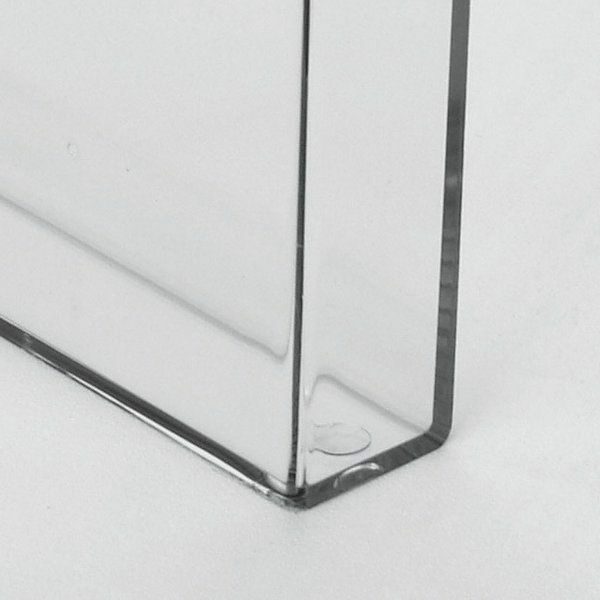 It is a clear leaflet pocket which is very suitable for front end registers and measures only 8- 3/4″w x 6- 1/2″h overall. 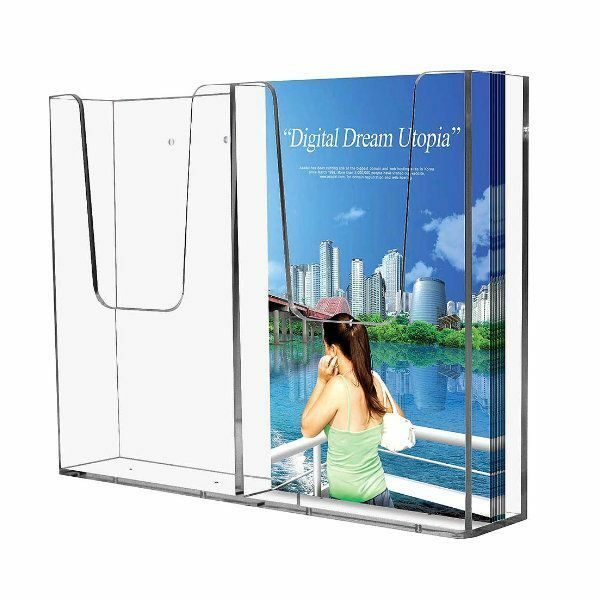 The material used is more durable and better quality than cheaper molded plastic, so this makes the wall mounted flyer holders completely clear. This means passersby do not necessarily take the brochure to see what is promoted, they can already see it from a distance. Please note, hardware is not provided with this leaflet holder. 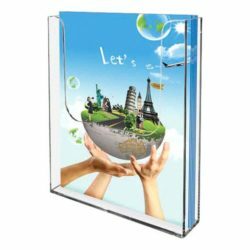 This wall mounted pamphlet holder or also called as wall mounted literature holder can be bought in bulk at a discount.